We are very happy customers and were very impressed from the moment the sales consultant came to our house. He along with the fellows that came to install were great guys, knowledgeable, thorough, and very meticulous! They removed the old furnace and installed the new one without any mess and all in good time. They showed my husband what was wrong with the old furnace as well as explaining how to work the new thermostat, etc. 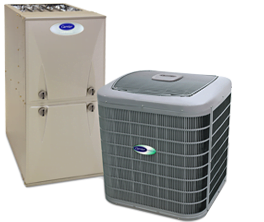 They did a great job and we would highly recommend Provincial Heating & Cooling to everyone we know.